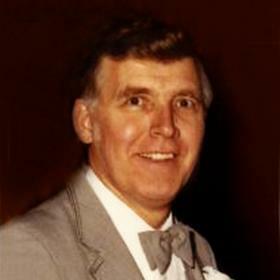 Russell Lyle Pollock, 89, found his eternal peace on March 7, 2019 at Clement J. Zablocki, Veterans Administration Spinal Care Injury Clinic after a long battle with a progressive neurological disease. Russell was born April 3, 1929, son of Lyle and Irene (Nee: Ades) Pollock, and raised in Menomonie, Wisconsin. Russ graduated from Menomonie High School, and Stout State University, excelling in many forms of prep and college sports. Russell was inducted into the Stout Athletic Hall of Fame in 1982, as a multisport stand-out, and member of numerous all conference teams. 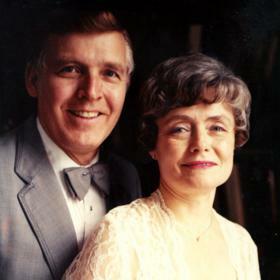 On September 16, 1951, Russell married his college sweetheart, Madelyn Erickson, at St. Paul’s Episcopal Church in Brainerd, Minnesota. After a four-year service in the United States Navy, Russ returned to Stout to pursue and complete his Master’s Degree in Education-Administration. 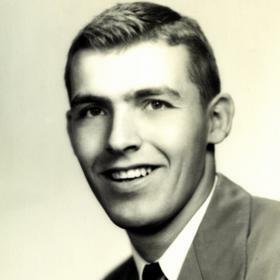 Russell moved to Racine with his family in 1956 to take his new position as a Graphic Arts teacher and basketball coach at Franklin Junior High. He and his beloved wife never left Racine, as Russell’s life long career in the Racine Unified School District found him in increasingly responsible positions, including for Assistant Principle and Head Principle positions. Russell’s love for kids and the education process never wavered. Russell loved to travel, was an enthusiastic conversationalist, which he loved to do over his wife’s wonderful meals. Russ was devoted Episcopalian; a long-time member of his beloved St. Luke’s Episcopal Church. Russ proudly served for years on the St. Luke’s Vestry, taking numerous terms as the Senior Warden (amongst many others). Russ particularly enjoyed serving during church services as a chalice bearer. Russell was also an enthusiastic member of Kiwanis, serving as president, and receiving the prestigious Hixson Fellow Award in September 2007. In spite of all of the above, Russ is still known best for his love of his wife and his love for and support of his family. Second only to that, Russ was legendary in his love and loyalty to his Chicago Cubs. 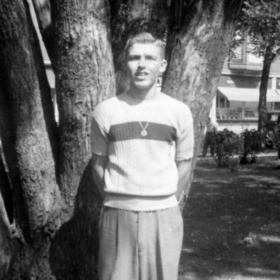 Russell is survived by his wife, Madelyn Pollock (nee Erickson), one daughter and son-in-law, Susan M. (Doug) Thornberg of Manchester, N.H., two sons and daughter-in-laws, Steven R. (Gail) Pollock, of Mequon, WI, and Thomas E. (Susan) Pollock of Racine; six grandchildren, Jacqueline (Nathanial) Morse, Jeffrey (Anne) Stoller-Thornberg, Laura (Jonathan) Gutoski, Alec Pollock, Michael Pollock and Elizabeth (Travis) Blomberg; five great granddaughters; one sister-in-law, Lorraine Chimzar of Placentia, CA, and one brother-in-law, Joseph William Erickson of New Port Richie, FL, nieces, nephews, cousins, other relatives and many dear friends. The family would like to thank the wonderful healthcare team employed with the Clement J. Zablocki Veterans Spinal Care Injury facility and clinic for their wonderful care for Russell. Relatives and friends are invited to meet for the Mass of Christian Burial at St Luke’s Episcopal Church, 614 Main St., in Racine, Wisconsin on Friday, March 15, 4:00 PM, with the Rev. Seth Raymond and Rev. Jeffrey Thornberg officiating. Visitation prior to the Service will be at St. Luke’s Church on Friday, between 2:00 PM and 4:00 PM. 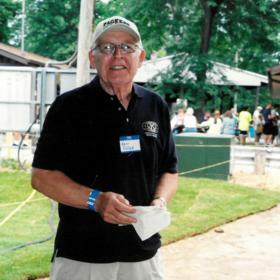 Memorials in memory of Russell can be made to St. Luke’s Episcopal Church or to the Kiwanis Club of West Racine. Private interment with full military honors will be held at Graceland Cemetery.